That’s why Graduation Alliance has built employment pathways that offer students and graduates of our programs — and especially those who have earned one of our industry credentials — priority consideration by employers across the nation. From national trendsetters in staffing services to regional leaders in caregiving, employers who partner with Graduation Alliance know that the students we send them for employment consideration are smart, tenacious and hard-working, and have demonstrated a mastery of entry-level skills. 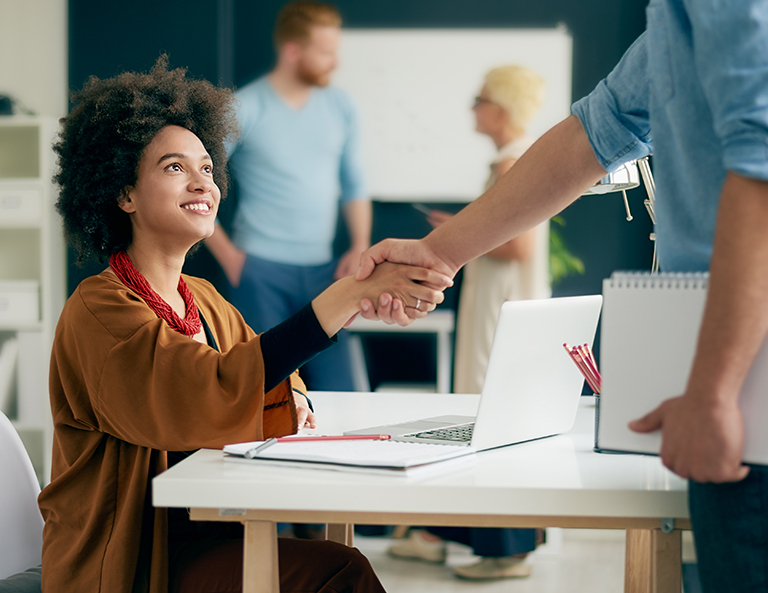 Such partnerships save human resource time and money, offer increased opportunities to diversify a workforce, and give deserving individuals the opportunities that many others take for granted. Please note that many of these positions will require a drug screen, background check and age requirement or work permit. To apply for positions at FirstLight Home Care in Westlake, apply here and enter Graduation Alliance in the comments under other skills/qualifications. To apply for the Youngstown/Warren location, apply here and enter Graduation Alliance in the comments under other skills/qualifications. To apply for the Cincinnati location, apply here and enter Graduation Alliance in the comments under other skills/qualifications. To apply for positions at North Shore Services in Cleveland, apply here and enter Graduation Alliance in the comments. Candidates should be close to completing their diploma, and have a driver’s license, insurance and reliable transportation. To apply at Careminders Home Care in Toledo, email Abby Perkins to obtain an application and reference form. To apply at Senior Helpers in Dayton, apply here and hit “accept and continue”. Then, search for the Dayton location and apply for the Companion Caregiver position. Please enter “Graduation Alliance” in the comments/referred by section. To apply at Homewatch Caregivers of Akron, send your name, phone number and email address to Abby Perkins Candidates must have a drivers license, insurance and a vehicle. To apply at Hummingbird Home Care in Cleveland, candidates should be almost finished with their diploma, and have a drivers license, insurance and vehicle. Please apply here and enter Graduation Alliance in the school field. To apply at Always Best Care in Cleveland, please call 440-334-8222 between 9a-3p, and let the staffing coordinator know that you are from Graduation Alliance. Candidates should be close to graduation. To apply at Action Angels In Home Care, which serves Elmore, Ohio and surrounding areas, please apply here and enter “Graduation Alliance” in the previous experience field. Offers positions in machine operating, shipping and receiving and warehouse positions in Dayton, Piqua and Springfield, Ohio. Applicants must be 18 and over to apply. Send your resume to Abby Perkins if you are interested in applying. Is looking for people to fill many warehouse, skilled labor and customer services positions. To search for positions and apply online click here. The company has locations worldwide. HCG is looking to fill positions in construction and carpentry in Columbus and Cincinnati. Applicants must have their diploma and have some experience in skilled trades. Apply online. Hires for many positions in Ohio and Michigan. There are many entry level opportunities in northern Ohio (Marysville). Most full time positions do require a diploma, but there are internship opportunities as well. Apply online. TriVersity Construction is looking to hire many people for skilled labor positions in Cincinnati. Send your resume to Abby Perkins if you are interested in applying. Barrystaff is looking for workers in Dayton and the surrounding areas. Positions include skilled labor/manufacturing, customer service, clerical and picking/packing. Applicants must have a high school diploma and be 18 years of age. Apply online. UPS is looking for packaging workers in the Cincinnati area. These positions start at $11/hr and offer an attendance bonus. The company offers many opportunities for growth and contributes towards continuing education. Apply online. Manpower has many skilled labor positions, and is currently looking for employees in Dayton to work in a sewing plant. These are first shift positions that offer paid training and opportunity for advancement.The company makes the uniforms for first responders! Positions require a high school diploma and require applicants be 18 years of age. Apply online. Does someone in your family receive Caresource? Email Career Services for more information. Free services are available to Caresource members in certain counties in Ohio. To apply for positions at FirstLight Home Care in Livonia, apply here, and where it says “Position applied for”, enter Caregiver-Graduation Alliance. To apply for positions at FirstLight Home Care in Lansing, apply here, and where it says “Position applied for”, enter Caregiver-Graduation Alliance. To apply for positions at FirstLight Home Care in Grand Rapids, apply here, and where it says “Position applied for”, enter Caregiver-Graduation Alliance. To apply for positions at Synergy HomeCare in Rochester, click here, and in section 3 where it says “additional education”, enter Graduation Alliance. To apply for positions for the Chesterfield location, send your resume to Abby Perkins. 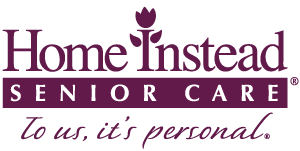 Senior Helpers in Grosse Pointe, Michigan is hiring Caregivers with one year of experience (personal or professional). Candidates must have a driver’s license and insured vehicle, and can email their resume to Abby Perkins for consideration. To apply at Care N Assist in Marshall, MI, click here and in the “referrer description”, enter Graduation Alliance. To apply for positions at Right at Home in Grand Blanc, Michigan, call 810.232.2433 and ask for Erica or apply online. To apply, click here, and enter Graduation Alliance in the referred by section. To apply for the positions in Lansing, MI, click here and apply for any of the Caregiver positions. Be sure to mention Graduation Alliance when you apply and speak to the hiring manager. To apply at Precise Home Health Care in Detroit, send your resume to Abby Perkins for consideration. Malone offers positions throughout Michigan in many areas, but primarily factory/warehouse positions. Some of these positions do not require a high school diploma. Email your resume or contact information to Abby Perkins to apply. Malone only offers full time positions at this time. Leelin Home Care serves the following counties in Michigan (Clare, Lake, Osceola, Gladwin, Ogemaw, Losco, Arenac, Montmorency, Roscommon, Missaukee, Wexford, Kalkaska, Crawford, Oscoda, Alona, Alpena). Candidates should be close to finishing their diploma, and have a driver’s license, insurance and vehicle. Apply online. Are you a veteran looking for work? My Next Move for Veterans helps you find a civilian career similar to your military job. Learn more here. CVS Health: Send your resume to Abby Perkins if you are interested in applying for CVS Health. CVS offers opportunities in many career fields, and offers a program to become a Pharmacy Tech. This is a GREAT place to start any career in Healthcare. Amazon has openings in various career fields and offers paid training after one year of employment. If you are interested in applying with Amazon, please email Abby Perkins for more information. Interested in being a partner and providing new employment pathways to our students?